Alright, so a little over a week ago (October 30… Sorry we took a while), the Communist Party delivered their verdict on Viet Khang’s trial. 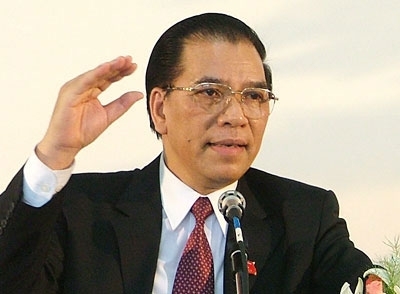 After a half-day of rigorous show-trialling, the Communist Party, Viet Khang was sentenced to four years in prison and a supposed two years of house arrest. On trial with Viet Khang is fellow musician/songwriter Hoang Nhat Thong (his real name is Tran Vu Anh Binh), who is also sentenced to a harsh prison term of six years in prison. 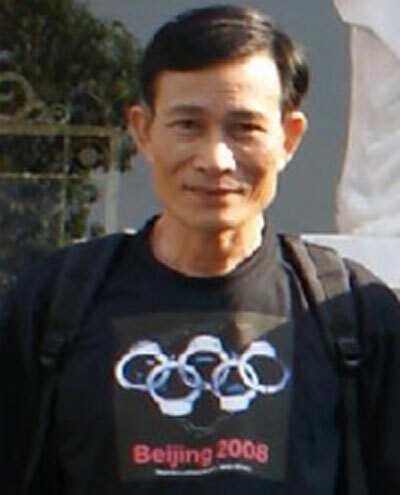 Mr. Tran Vu Anh Binh wrote a song in honor of the democracy activist Dieu Cay, titled “Nguc Toi Hien Ngang”, or “Courage in the Dark prison”. Viet Khang’s verdict is somewhat lighter than I expected (though it is still extremely harsh) when comparing to other democracy activists (Dieu Cay got 12 years). This may or may not be due to the international attention given to Viet Khang’s case, and there was a lot of attention from the Vietnamese community around the world regarding Viet Khang. 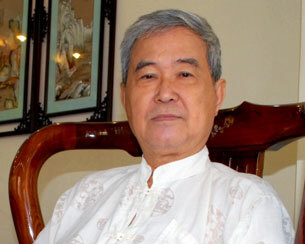 It is not yet clear what the situation in Vietnam is like now that a sentence has been placed on Viet Khang. What I am sure of however is that the arrests and unfair treatment of innocent people will continue. It’s a long and arduous process but there is really no way the Party can ever regain their legitimacy. They have demeaned themselves, the country, and the people of Vietnam for so long, it is no longer a tangible task for them to gain any respect from their people, the world, or each other. A coward can only hide his cowardice for so long, and even then, he cannot fool himself into having courage. As far as the Communist Party is concerned, they are surviving off borrowed time. They can keep suppressing, they can keep censoring, and they can keep pretending they aren’t Chinese dogs. However, they cannot wipe the blood off their hands, and they will never again look valiant and righteous in the eyes of their people. Even the great regimes don’t last forever, and the Communists are definitely not the greats. Welcoming 2012: Can The Communist Party Get Any Dumber? The more I think about the Communist regime in Vietnam, the less I am able to respect this poor excuse for a bumbling government. 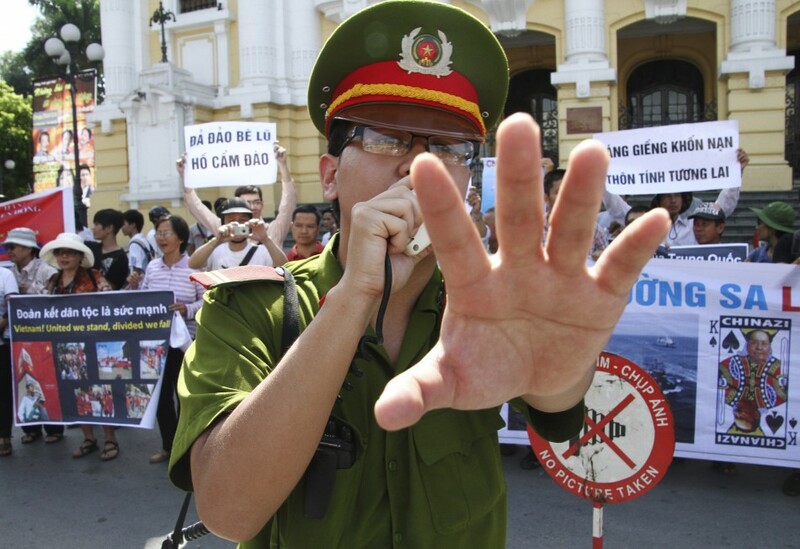 It is simple enough, there is really nothing respectable about the Communists in Vietnam. They sell out the country to foreigners, enrich themselves through the pockets of the people, and jail the patriots who speak out against the Chinese invaders. 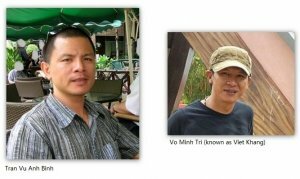 These are all well known among those of us who study the happenings of Vietnam today. 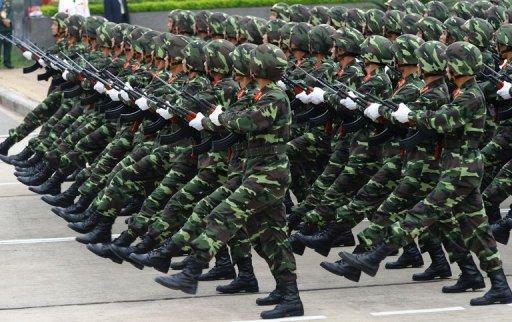 Once in a while however, the Vietnamese government would go even further to do something so mindnumbingly stupid, completely boggling the mind of anyone with a shred of common sense. There are numerous examples in the last two years alone. 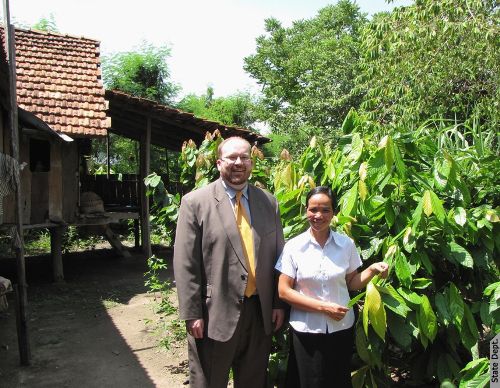 Just one year ago, last January, the Vietnamese government decided to attack American diplomat Christian Marchant. Marchant was simply on his way to pay a visit to father Nguyen Van Ly, a known democracy activist and religious figure in Vietnam. Marchant’s visit with Father Ly was by no means a threat to the government. Yet they still felt compelled to send the police to corner and beat up the American diplomat. As a result, U.S.-Vietnam relations were unnecesarilly strained, slowing down the process of normalization that Vietnam has been trying so hard to cultivate with America. 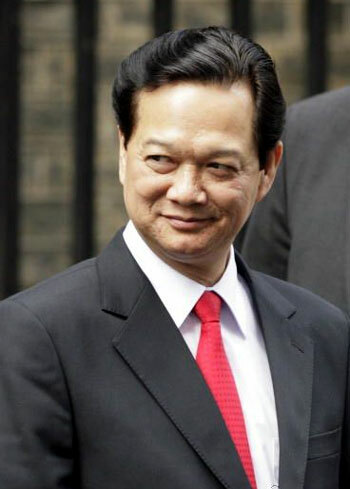 Earlier than that, in the fall of 2010, news circulated that the Vietnamese Communists have approved a movie deal with the Chinese, giving the Chinese full creative control over the life and times of the great Vietnamese emperor, Ly Cong Uan. The historical accuracy of this movie was, to say the least, extremely poor. The directors of the movie dressed up the emperor in Chinese robes, surrounded him with Chinese officials, and his palace is designed after Chinese architecture. 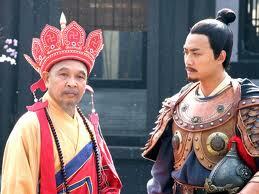 Furthermore, the movie is shot in China, and all the major characters were dressed and decorated like they were Chinese. Luckily, the movie never saw the light of day, for fear of public outrage by the Vietnamese population. They literally gave the Chinese a chance to further rewrite Vietnam’s history and almost succeeded. Just a few months ago in October, the U.S. government wanted to cooperate with the Vietnamese government on a Vietnam War repatriation project. The United States offered free financial support to the VCP as a show of good will, asking them to recover the bodies of all the soldiers who lost their lives in the Vietnam War. 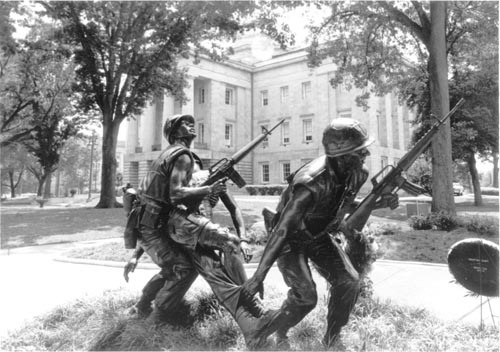 This includes not only North Vietnam, but American and South Vietnamese soldiers as well. Unfortunately, because of their arrogance, the VCP rejected American support, refusing to repatriate the corpses of the South Vietnamese. The war has been over for nearly 40 years, yet they still can’t move on. This was an opportunity for the Communists to project to the world that they were dignified, progressive, and most importantly, valueing human life. They had nothing to lose and so much to gain. Sadly, they were too stupid to understand this, and blew another opportunity to improve their international image and get closer to the U.S., both of which are goals they have been desperately striving for. The latest act of stupidity took place only several weeks ago with the recent visit of China’s future President, Xi Jinping. In an attempt to cater to the next supreme leader of China, the Vietnamese Communists decided to greet the man with a modified Chinese flag. The standard national flag of the People’s Republic of China has one big gold star surrounded by four smaller stars. It is widely understood that the stars on the flag represent the Socialist aspects of the country, though that is not the full story. 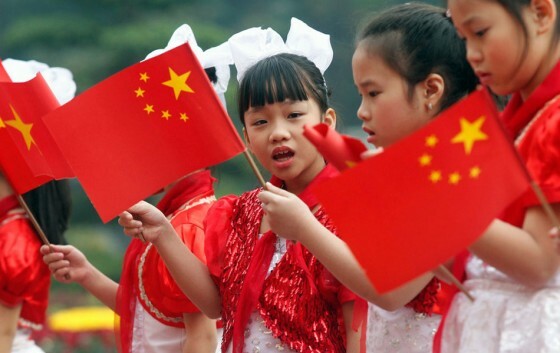 Alternatively, and unoffically, the stars on the flag also represent the ethnic groups of China. The large star represents the majority Han people, while the smaller stars make up the other ethnicities of the country: Xinjiang, Mongolia, Tibet, and Manchuria. 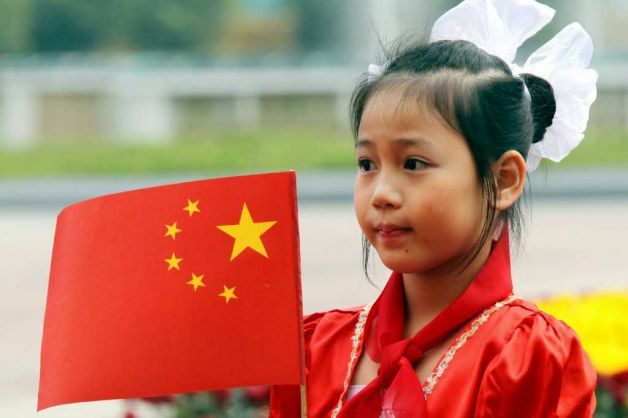 Upon Xi Jinping’s visit, the Vietnamese Communists added another small star to the flag. What they meant by that gesture is pretty self explanatory. After all, which country has China been trying to take all this time? It gives me chills thinking about why the Communists in Vietnam would even think of adding another star to that Chinese flag. The Vietnamese government has done some stupid things, and they do not show signs of getting smarter. What I’ve mentioned above are just a few of many, and have only taken place within the past year or so. It would be an understatement to say that Vietnam is in serious trouble, and another understatement to say that the country needs a change. 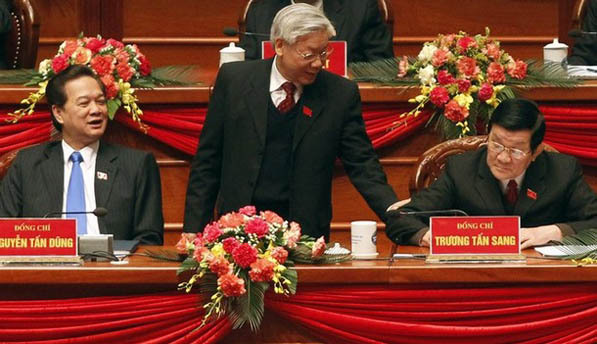 What can we expect from the Vietnamese Communist Party in 2012? It is still unclear, they are so unpredictable and erratic, we can never know what they will do next. It is very devestating that Vietnam is run by these individuals. Please excuse my crassness, for if I didn’t know any better, I would say that this Socialist Republic of Vietnam is run by a bunch of retards. Happy 2012! Earlier this week, gang members stormed the church-house of pastor Thien An, beating him and members of his family with pipes and wooden clubs. 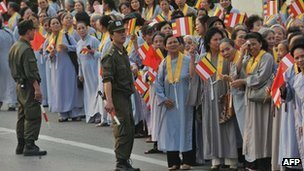 The pastor was attacked by the thugs for his important role in Vietnam’s Catholic community, as the government considers religion a major threat to their legitimacy. 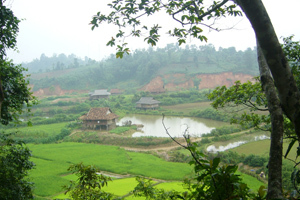 It is widely believed that the thugs were hired by the Vietnamese police and were acting under their instruction. Pastor Thien An and his family were attacked by hired gangsters twice that day, once at 1:00 p.m., and then again at 8:30 p.m. In both cases, when calls were made to the police department, nobody answered the phone. The connection between the gang attacks and the government police are fairly obvious. 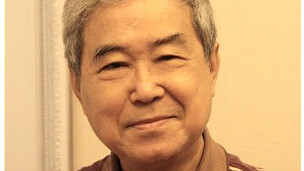 One week earlier, the pastor was visited by Vietnamese police, claiming that they needed to “investigate” his property. In one religious service not too long ago, the police barged into the pastor’s church-house and cut the sound system, preventing him from completing his service. During the intrusion of the pastor’s sermon, members of his family were terrorized and threatened with violence by the policemen involved. The gang ordeal left many members of the pastor’s family with some severe injuries including cuts, bruises, and broken bones. Videos of the pastor and his family member’s injuries have been posted on Youtube, showing us just how brutal the gang/police attacks on the civilians really are. 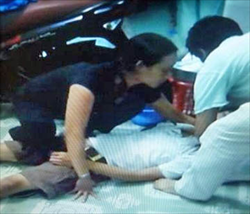 This attack on pastor Thien An and his family took place in Central Vietnam, in the province of Quang Nam.